These haven’t been standardized; a few other systems are listed here. One common variation is “Paging Dr. Red” or “Paging Dr. Firestone” to alert staff of a fire. 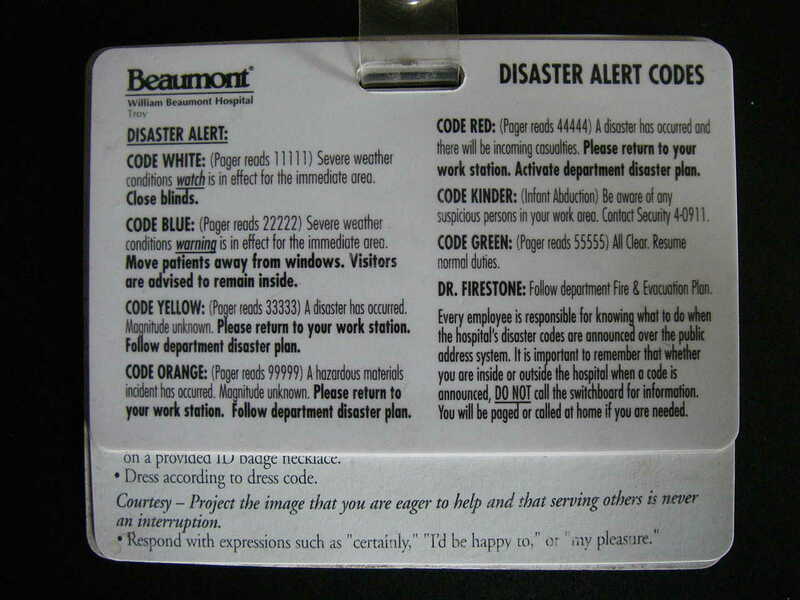 Sometimes “Code Clear” is announced when the emergency has been dealt with. For similar reasons, airlines refer to dead bodies as “Jim Wilson.” American Airlines’ help desk for funeral homes is called the American Airlines Jim Wilson Service.